Mother Lode Friends of Music presents their first concert of the 2018-2019 season, on Sunday September 30th at the Main Street Theater in Sutter Creek. The concert begins at 3:00 pm. The program will feature music from the early 20th century. Works include the sensuous song cycle “Chansons Madecasses” by Maurice Ravel, and the extraordinary “Trio in C Major” by Croatian composer Dora Pejacevic. Performers include the brilliant Biljana Bojovic, Cello, and the MLFOM debut of Karen Lyman, Mezzo Soprano. 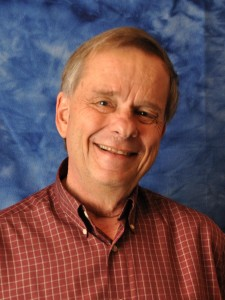 Returning MLFM performers are Corina Stoian, violin, Ron Brickman, Piano, and Sandra Betti, Flute. This concert is free of charge. 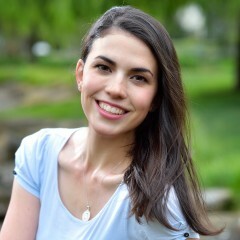 Biljana Bojović comes from the Balkans to the United States to study at Interlochen Arts Academy in Michigan and then pursues her undergraduate studies at West Virginia University in Morgantown and graduate studies at Butler University in Indianapolis. She has studied cello with Cassel Grubb, Crispin Campbell, William Skidmore, and William Grubb, music composition with John Beall, Frank Felice, and Michael Schelle, and music education under the mentorship of Penny Dimmick. For many years she had a very active musical life as an educator, composer, and freelance cellist in the Indianapolis area and performed in many different venues as a soloist, in chamber groups and orchestras. Biljana’s works are written mostly for solo instruments and chamber groups, and often draw inspiration from Balkan music. 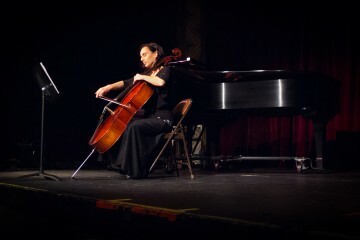 Her pedagogical work includes individual instruction of cello, piano, music theory and composition, teaching general music to elementary school students, directing middle school and high school string orchestral programs, and teaching aural skills and fundamentals of music theory at undergraduate university level. Biljana and her husband have recently moved to California where she continues to play and write music, including music for children, and is a church cantor and music educator. She is happy to play at the Mother Lode Friends of Music concert series and is looking forward to continue to collaborate with artists from this region. 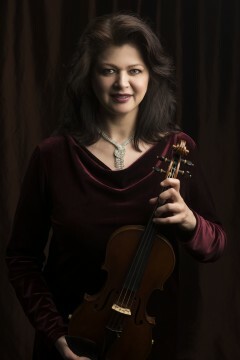 International concert violinist Corina Stoian made her American debut on February 2007 at the Sutter Creek Theatre with Ron Brickman at the piano. Since then, Stoian has thrilled local audiences many times with her outstanding virtuosity and thrilling interpretations and has become a popular performer throughout the Mother Lode and beyond. Before her move to the United States, Stoian was a leading concert violinist in her native Romania and in Germany. She was for many years concertmaster of the Folk Chamber Orchestra in Essen, Germany and won several international prizes, leading to appearances in France, Switzerland, Israel, Bulgaria and Italy. 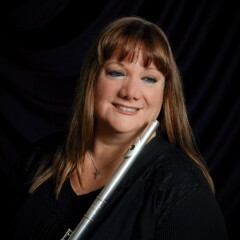 Since residing in the United States, besides her multiple appearances with the Friends of Music, she has performed as soloist with the Auburn, Camellia, Diablo and Bear Valley Music Festival orchestras. In the Spring of 2017 with her longtime partner Brickman, she performed the Concerto for Violin and Piano of Felix Mendelssohn with the Orchestra of the Mother Lode Friends of Music under the direction of Henrik Jul Hansen.